Wondering what it's like to drive across the country? Then, welcome to the documentation of my 1,743-mile Southwest trip. This is a type of experience that I've done twice in my life now. The first time, we spent one week driving across 8 states from Pensacola, FL to San Fransisco, CA. 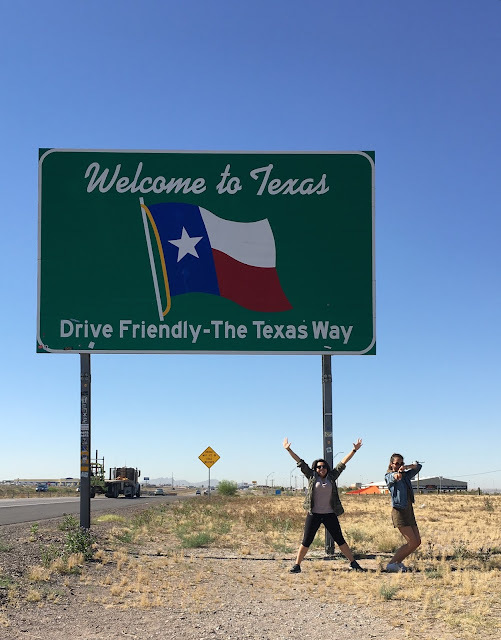 And this time, we drove from Lemoore, CA to Austin, TX. It's not something that every person might get to experience, so I thought I'd share it with you. For those of you who don't know, I'm moving from Las Vegas, NV to San Antonio, TX. The last few weeks before this move had been an insane whirlwind of donating, packing, planning and sorting. I still seemed to have accumulated quite a bit more stuff than expected: 3 suitcases, a duffel bag and a backpack, all of this I tried to fit in my Mazda 3. I was very excited taking this road trip. It's very interesting to see more of America and the best way to do it is via land. I'm actually more nervous about the whole idea of moving to another state without any family and friends, to be honest. After days and days of planning, I've made an itinerary of all the things we plan on doing, the stops we're going to make, the amount of money budgeted for food/gas/lodging, and all other stuff. I've logged over 2,000 miles on my car and only spent $63 on gas. Thanks 'Merica. Our starting point was Lemoore, CA. Filled the entire car with bags, and traveled South for a weekend stay in Las Vegas, NV to attend a wedding of one of my good friends, and say my goodbyes to my friends and family. On the last day, we spent the day walking down The Strip and of course, going down the memory lane. I pretty much spent half of my life living there and leaving the West is very hard for me. Bridal party picture of the wedding I attended. Phoenix has been one of my favorite cities in the US. There's plenty of things to do in and outdoors. 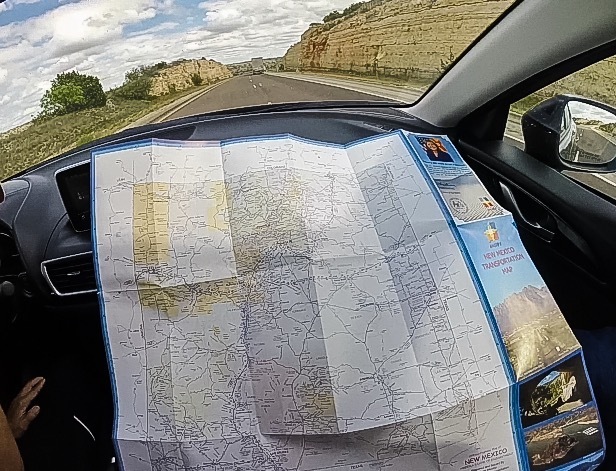 And passing through and around the canyons, deserts and cacti forests will give you an excellent insight of what a Southwest road trip looks like. We had lunch at this one Asian fusion restaurant called Chino Bandido. It reminds me so much of Halal Guys in New York, but with Asian-Mexican twist. This place is Guy Fieri and Yelp approved! We also stopped by the Desert Botanical Garden to check out the largest cacti in America, the Saguaro cacti. We decided to spend the night here to see some attractions the following day, but there actually wasn't any. There's nothing much to get around here unlike Phoenix. We spontaneously just decided to go to Downtown Tucson to grab lunch from this quirky, hipster place called The Little One, and it was divine! I totally recommend getting their chicken molè. After that, we drove by this little old town called Barrio Viejo. It's an old neighborhood, that mainly consist of homes and businesses from the 19th century. It's like a colorful walk back in time. My favorite part of this stop, actually, was trying the Tucson-style hotdogs called Sonoran hotdogs. It's on every block of the city, in a restaurant, a diner or a food truck. I've already expected the long deserted, and perhaps not the most scenic drive of this trip. While I-10 can be a grueling forever-hour drive straight to road of hell, I find myself enjoying this desert scenery. Ghost towns are scattered throughout here. We got off at the exit of The Continental Divide to get some souvenirs for our friends, only to find out that this place is pretty historic right when we left. Fun fact of the day: The Continental Divide is a mountainous ridge on a continent. It divides the flow of water between the Pacific Ocean and the Atlantic Ocean. However, I was disappointed when we arrived at Las Cruces to take pictures, since everything was closed by 7pm. I've always thought El Paso as a dangerous city because of its neighboring cities, but this city actually has lower crime rates than most cities even though it's by the Mexico border. I feel like our whole stretch of drive in El Paso we've been surrounded by state troopers. Ciudad Juarez, the Mexican bordering city, on the other hand, is a whole different story. It is a large city known for high crime rates and drug trafficking. We didn't do a lot of activities here but I made sure to stop by the state sign to take some pictures, and eat at my favorite brunch place only in TX, La Madeleine! French breakfast at La Madeleine. The dreaded part of the drive. The longest drive we'd have to do on the duration of this trip. The not-so-exciting part is pulling over a tiny sketchy city in the middle of Texas, without cellular reception, hungry for Mexican food. And the one thing we were looking forward to this 8-hour drive is being able to taste Rudy's creamed corn again and check-in on our Airbnb cottage. Our little one bedroom Airbnb cottage. San Antonio is originally our last stop, but after hearing so many good things about Austin, I'm actually excited to pay it a visit. Some of my friends had been telling me that I would fit right in at Austin. And they were right! I was afraid that I wouldn't feel home in this state because of my city lifestyle. Well, I fell in love the moment we arrived in Downtown. It reminds me so much of home (Vegas and Cali), but a tad toned down with a Texas twist. It's also like Downtown Las Vegas, or Chicago with an L.A. vibe. There's so much to do, and city life is alive and booming. And can't forget about the hands-down, the best barbecue in town, or I must say, that I've tasted ever: Salt Lick Bbq. It is 25 mi away from Austin, but this is all I have to say: it's worth it. "Greetings from Austin" postcard mural at Roadhouse Relics. Kayaking at Lady Bird Lake overlooking Downtown Austin. Leaving my mark on Hope Outdoor Gallery. The infamous Salt Lick Bbq pit. And I made it! I picked up some more tricks and tips for the best road trip ever, which is here on my blog. Link here. And there you have it, the highlight of my April. Now time to unpack and eat some more creamed corn and barbecue. My group of friends enjoys eating and trying lesser known beers, or the amazing cocktails all the time. This is the best place I know with the most perfect environment. It has become one of my favorite Seattle venues over the last year.